Hyderabad-based drug major Aurobindo Pharma Limited has reported a 19.7 percent jump in net profit at Rs 712.2 crore for the quarter ended December 2018 on the back of robust revenue growth in the US and other markets. Revenues from operations increased 21.5 percent to 5,269.7 crore during the quarter under review as compared to Rs 4336.1 crore in the year ago period. Giving a boost to the company's performance, the US formulations sales grew by 27.4 percent at Rs 2,433.2, constituting 46 percent of the overall revenues, from Rs 1,909.6 crore in the corresponding previous quarter. The formulations sales for the quarter increased by 21.8 percent to Rs 4,347.8 crore and accounted for 82..5 percent of the total revenues, according to the company. Meanwhile, EBIDTA before Forex and other income at Rs 1,086. 4 crore grew by 5.9 percent as compared to Rs 1,025.6 crore in the year ago period while the EBITDA margin for the quarter was down 3 percent at Rs 20.6 percent as compared to 23.7 percent in the same period previous year. "We have delivered a robust revenue growth of 22 percent driven by strong growth across all business segments and markets. Gross profit could have been better, but for certain one-time expenses. Our execution strength, pipeline evolution and recent acquisitions will drive the future growth," Aurobindo managing director N Govindarajan said. The company was able to register a 10.3 percent growth in Europe formulation sales at Rs 1,292.8 crore, while the sales in growth markets jumped 36 percent to Rs 340.5 crore from Rs 250 crore in the corresponding previous quarter. 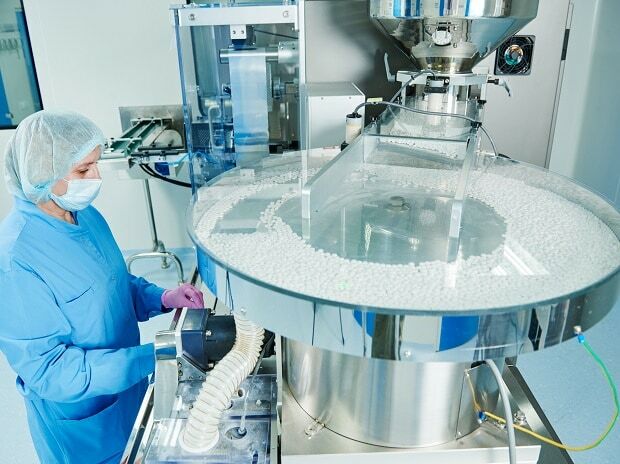 Its sales from the Active Pharmaceutical Ingredients(API) division stood at Rs 921.7 crore, an increase of 20.4 percent on a year on year basis. The board has approved second interim dividend of Rs 1.25 per equity share of Rs 1 for the year 2018-19. The company announced that it has entered into a share subscription agreement to invest Rs 15 crore in Synergy Remedies Private Limited, a Tirupati-based pharma company, by subscribing to additional equity shares of the said company. After making the said investment, Aurobindo will be holding 19.9 percent of the share capital of Synergy.